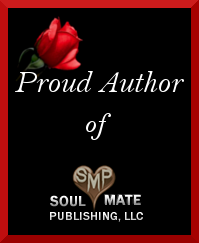 Please welcome multi-published author, Meda White. She’s here with her new release, Play with my Heart, and she’s giving away free books! That’s right…free books, so read on, find out all about her and her books. Be sure to leave a comment with your email before 8/20/14 for a chance to win one of two books she’s generously giving away. Our Lily does a few things that we find funny. One of them is when we bring home dog food and poor it into the storage tub, she thinks the buffet is open and proceeds to chow down. When we get water from the refrigerator, she likes to get between our legs. It’s very strange, but too cute to try to stop it. Then, she stands on the highest point in the back yard to look down on her kingdom. We call this her Mufasa spot. Lastly, she’s a true Southern girl who enjoys sitting on the back deck, watching the sun set, and drinking an adult beverage. We didn’t know we were rescuing a lush. Favorite TV show growing up? Do you remember the show starring Bill Bixby as David Banner and Lou Ferrigno as The Hulk? It was on in the late 70’s and early 80’s and I was pretty young, but I remember the feelings that show invoked. My mom thought it might scare me, but The Hulk wasn’t a monster to me, he was a hero. When David Banner’s eyes turned green, I would wiggle in my seat, excited that Lou was about to kick some bad-guy booty. Then, when the sirens sounded and he had to run away so the po-po wouldn’t catch him, it broke my heart every time. Just hearing the theme music and watching Banner hitchhike still elicits deep loneliness and tugs at the old heartstrings. The theme is aptly named The Lonely Man. Try not to get depressed if you watch this. You won’t like me when I’m angry. Where does your novel take place? Lastly, I’d like to talk about the setting of my contemporary romance novel, Play With My Heart. I intended to write a small-town romance but it turns out my characters are jet-setters. The book begins in Los Angeles. Ian (hero) lives and works there—actors, but Liz (heroine) is there to visit her brother. I have been to L.A. but it’s been a few years. One of my former roommates grew up there, so I was fortunate to go with her and have a native show me around. Later in the book, the action moves back to Georgia–more specifically to Southland, the Baker Family Estate not too far from Atlanta. This is the place where the magic happens. I’ve got more photos of Georgia than you want to look at because it’s my home state. The characters eventually return to Georgia where they find their HEA (Happily Ever After). The end is set in a fictional coastal town in South Georgia (so close to Florida that with the right wind, you could spit and have it land in another state). I originally made it Florida, but decided people who aren’t familiar with the area don’t really consider Florida as “The South”. Since my theme is Southern Romance, I made the choice to change it. Sadly, I fudge a bit on the actual coastal topography. The Georgia coast is pretty marshy, but I wanted my beach town to be beachy and not be an island. These are the joys of writing fiction. Thank you, Sophia, for having me on your blog. 2. An eCopy of Fall Rush (my latest new adult novella). Be sure to comment to win a copy!! Q: What happens when a bartender helps a sorority girl find her courage while he protects her honor? Thanks again for having me and enjoy the Fall! Remember to leave a comment before 8/20/14 with your email address for a chance to win a copy of one of Meda’s books! Previous PostRescued: a Pot-Bellied Pig and a novel?Next PostNew Beginnings: A writing tip to snag that elusive publishing contract. Aww, I love your collie! Thanks for the excerpt and giveaway! Thanks, Christy! She’s the sweetest fifty-five pounds of fur you’ll ever meet. Best wishes. Hey, Meda! 😀 I love your covers. Thank for sharing the pic of your fur-baby. ^_^ It certainly sounds like she was reserved for you ahead of time! This is a delightful interview. Enjoyed the read. Books sound like romance at its best. Great interview. Your books sound like great reads. Great interview Meda! The covers are gorgeous! No, we haven’t picked winners…yet. I’ve been stuck in the editing cave, but hope to have it done today! Woo hoo! Congrats and enjoy the books. fun interview!! The books look great! Thanks, Cathy. Have a great day!